The Reversible Medallion pendant is made up of two sections that slot neatly together so that they can be worn with either the patterned blue enamelled section in front or behind with an Aquamarine visible in the centre. The beauty of the design is that patterns can be seen in different ways when reversed. 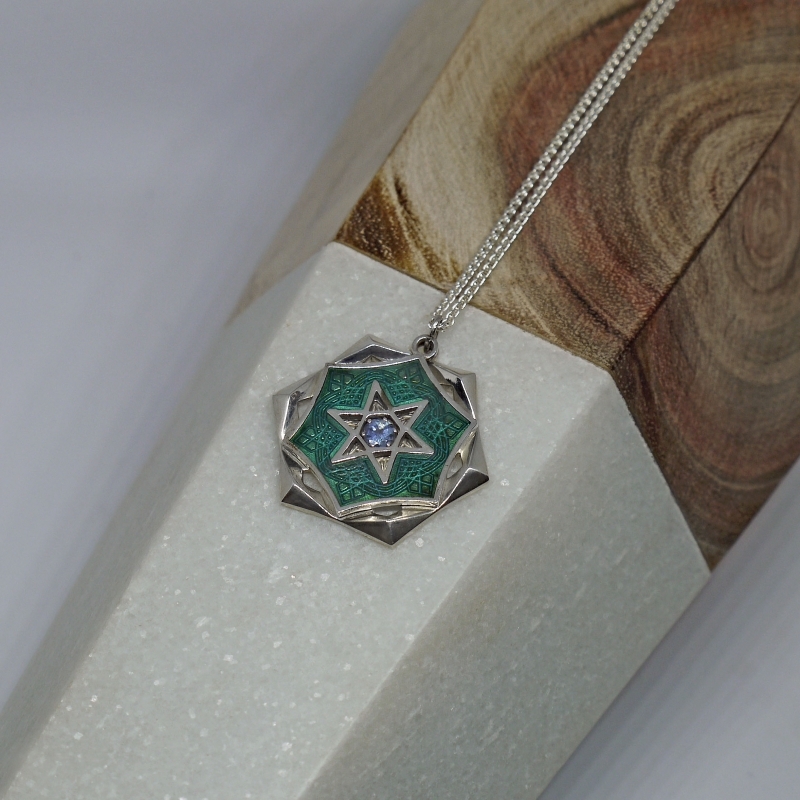 The medallion pendant is made up of two sterling silver halves, the patterned back is inlayed with Turquoise enamel and the front has a 4mm Aquamarine (grade AAA). The pendant comes with a 18" sterling silver spiga chain with a lobster style clasp. The pendant is polished to a high shine finish and Hallmarked by the Birmingham UK Assay office. Measurements Pendant Diameter: 2.6cm/ 1" ; Pendant Depth: 0.4cm/ 0.1"